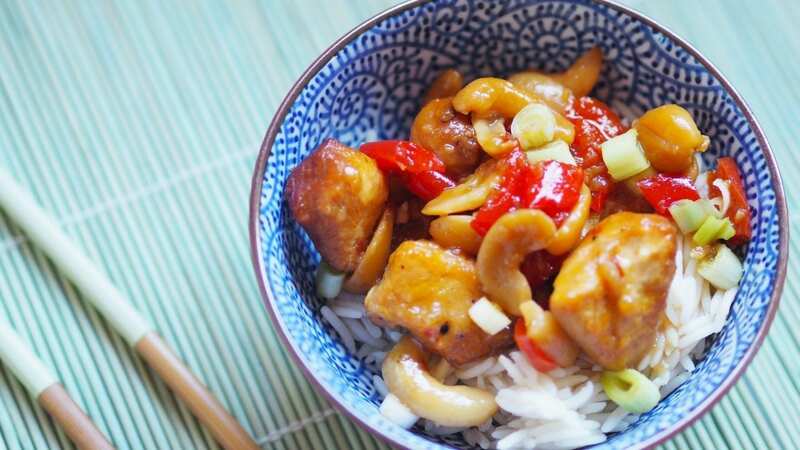 This delicious slow cooker cashew chicken recipe is just as tasty as the one from your favourite Chinese takeaway. It’s easy to make plus it is both gluten and dairy free. Now that the weather is turning to Autumn there is nothing I love more than having slow cooked food for dinner. Whether you have been busy in the house all day or out of the house at work having a meal ready with minimum effort is such a time saver. You just throw all the ingredients into the pot, put on the lid and switch the machine on (very important, I’ve not noticed until much later that I hadn’t turned the slow cooker on! I only noticed because there were no delicious smells wafting around the house.) and go about the rest of your day. When it’s time for dinner it is ready to eat. Depending on what you are making you might have to cook some sort of side dishes like rice, potatoes, veg, etc. 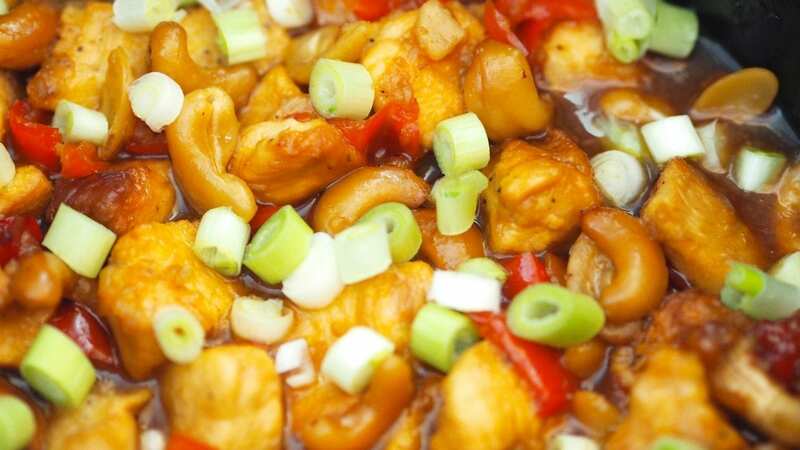 Chinese food is probably my favourite food (it varies between that and Mexican) but a lot of dishes contain soy sauce which has fermented wheat in it. Which is a no-no if you are gluten free! So if I fancy some Chinese food then I have to make it myself. 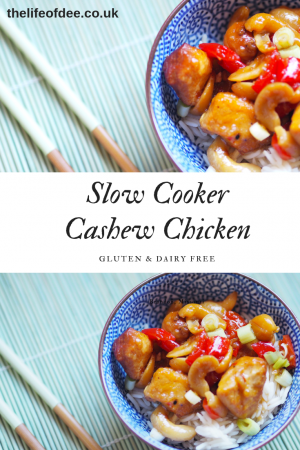 I have been slowly trying to adapt my favourite dishes into gluten free versions and have come up with this Slow Cooker Cashew Chicken recipe. As the chicken is slow cooked it means that it is very soft and tender, I used chicken breast for this recipe but you can use the thighs if you prefer. 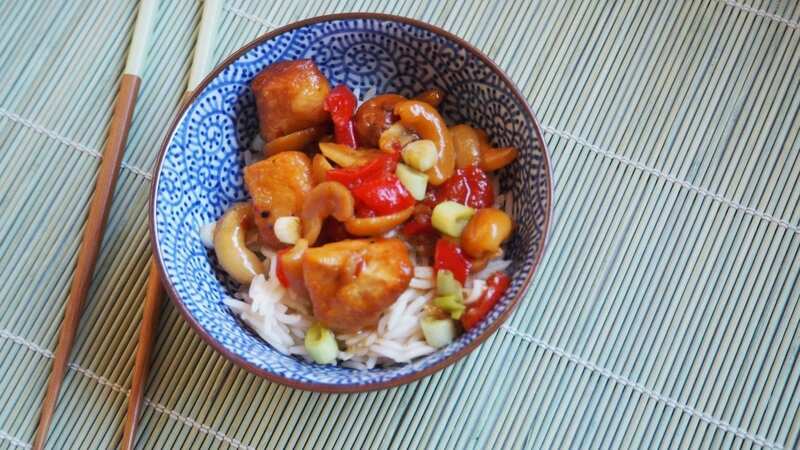 Also if you like the veg and cashew nuts with a bit of a crunch then I would probably add these in towards the end of the cooking time. Combine the soy sauce, wine vinegar, honey, brown sugar, garlic and chilli flakes in a bowl. Pour over the chicken and red pepper in the slow cooker. 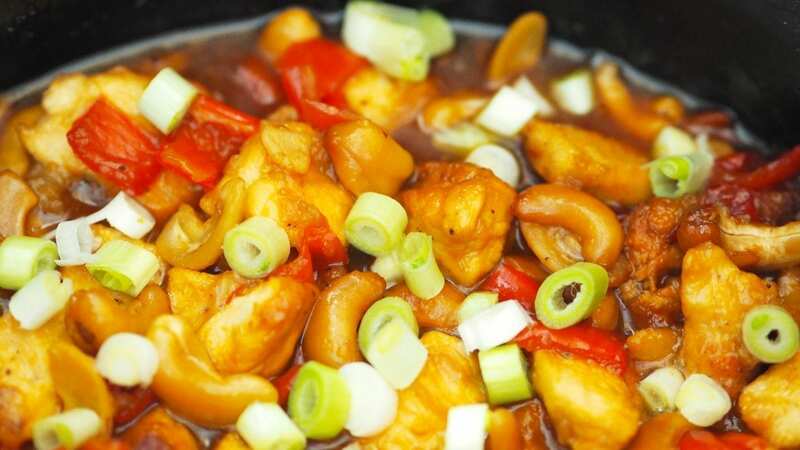 You can either add the cashew nuts now before cooking or if you like them with a bit more of a crunch then add them to the last 30 minutes of cooking. Serve with rice and chopped spring onion. If you try out this recipe or anything else from my blog, I’d really love to hear any feedback! "Aldi Baby & Toddler Event Haul"
Thank you! It was really nice. 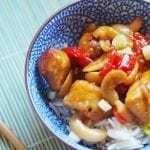 It’s the only Chinese dish that I’ve tried in a slow cooker, will need to try a few others. This looks delicious. I love being able to cook with our slow cooker but always struggle to find inspiration for what to make. I’m looking forward to giving this a try. Thank you. This is definitely the time of year to get the slow cooker out. Coming home to a meal that’s ready to eat is the best thing about slow cookers. 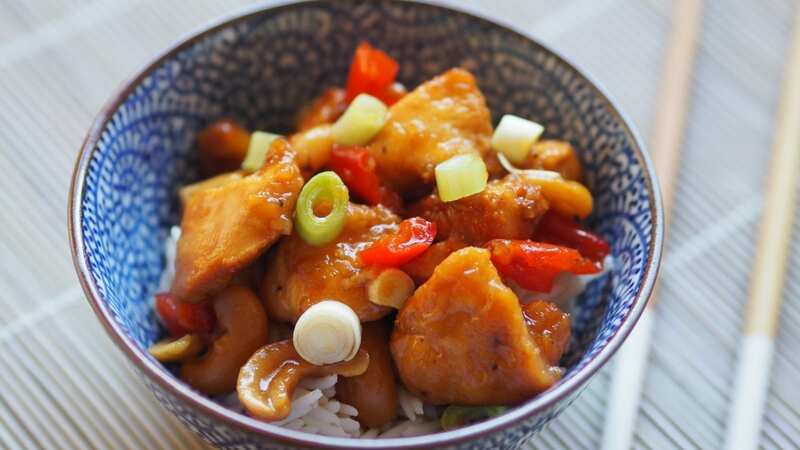 It’s that slow cooker time of year, I’ve never done chinese before and this looks sooo good. It’s the first Chinese recipe I’ve tried in the slow cooker so will be looking out for more to try. It is so handy just to chuck in the ingredients and then walk away and leave it. 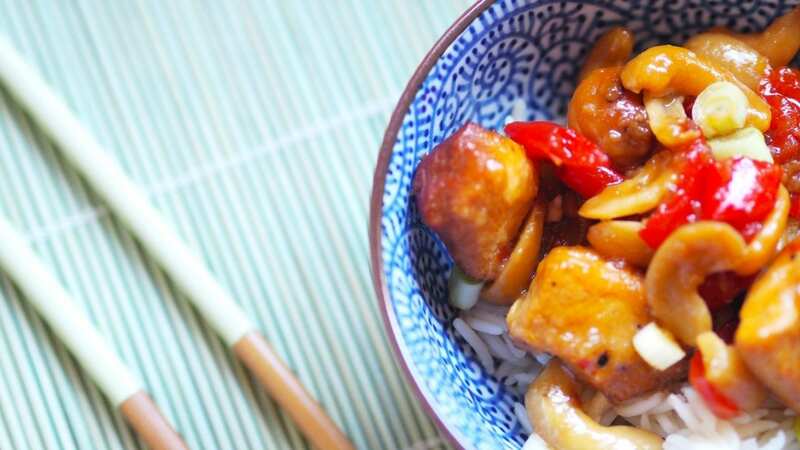 This looks delicious – I would never have thought to make Chinese dishes in a slow cooker! It is really tasty! I hadn’t either but as I don’t have much free time now I thought I would give it a try. I was only thinking this week I needed to get my slow cooker out. I would never have thought to do Chinese in it. This looks amazing! This looks delicious! I may need to buy a slow cooker now! Wow that sounds absolutely delicious and perfect for someone like me with a whole bunch of new food intolerances! I love to cook in my slow cooker. I can’t wait to try Cashew Chicken. This would be a great dinner. Any time I can just put food in a crock pot, set it and forget it, I am a happy cook.